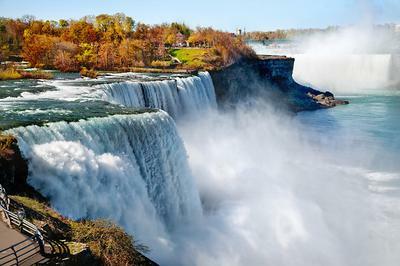 Now that I'm older there are two things I firmly believe in, One is Niagra Falls and the other is Viagra rises ! Here's what I noticed. Both get your heart pumping. Both are more enjoyable because of the motion. But one you can enjoy all day, the other requires a doctor visit after 4 hours! We'll argue which is which!